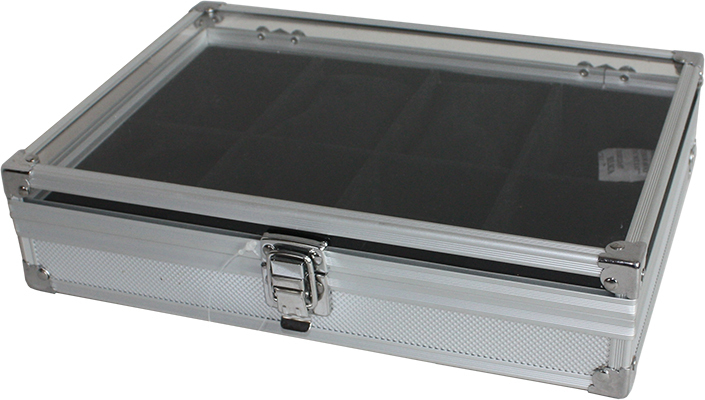 A lovely case with transparent acrylic window and 8 compartments for watches ,one watch holder in each compartment . 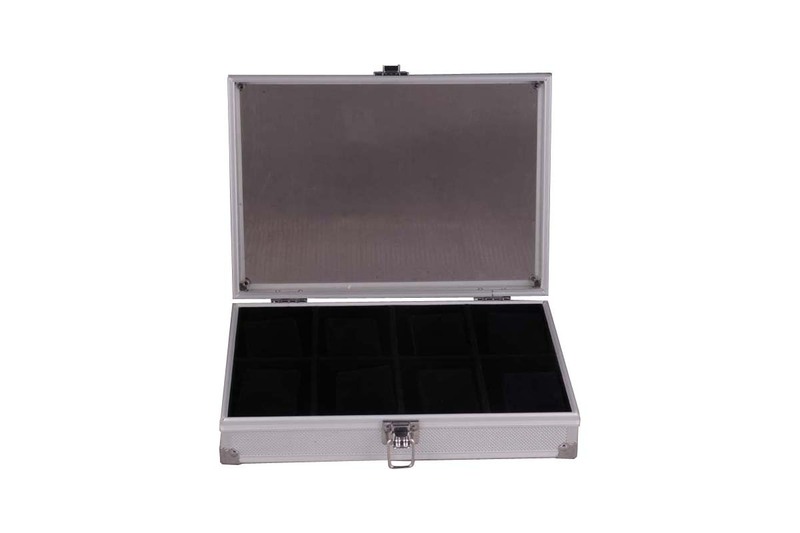 Takeout the watch holders ,it become a jewelry case with 8 compartments,you canstorage and keep you jewelry well organized . As a display case ,it is very popular in watch store ,it is also popular to be used as a jewelry case at home .